To be honest, I don’t really know what’s happening in Chile right now. Sorry to disappoint you. But I DO know that in 3 weeks’ time I’ll be there, ready to start my week of very intensive training, less stressfully called “orientation week”. This will be a week in Santiago full of information, practice and guidance to help me fulfil my new role as a volunteer English teacher. Once that week’s done, I’ll be ready to travel to my new home for the next 8 months and start working. Many people have been asking me what I’ll be doing in Chile and where I’ll be living, and unfortunately I can’t answer both of those questions right now! I can tell you what I’ll be doing, and very soon I can tell you what part of the country I’ll be in, but you nor I won’t find out who I’m living with or which city/town/village I’ll be calling home until I actually get to Santiago. Scary, right? I’m calling it exciting. So what am I actually doing in Chile? Well I’ll be working voluntarily as an English teacher in a school somewhere in Chile helping children improve their speaking and listening abilities. As well as making English as fun as possible through games, tongue twisters and role-plays, I’ll be helping out with extra-curricular activities that schools run such as spelling bees and coaching the debate team. I’m doing this placement through the English Opens Doors Program (EODP), run by the Chilean Ministry of Education, and as it’s a volunteer placement they cover the cost of my visa, which would otherwise be a big hurdle to pay for if I wanted to work in Chile. Chile is having a bit of an education reform at the moment and the EODP is part of this education drive, aiming to improve students’ communication abilities in English and encourage cultural exchange. Through increased English proficiency, it’s hoped that Chilean people will aid Chile’s continued development in an increasingly global world. 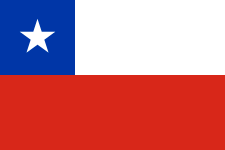 In some parts of Chile they hardly ever meet English speaking people, so as a native English speaker I’ll be a massive help to their community. In return for me becoming a teacher, the school must provide a home stay, so I’ll be adopted by a Chilean host family while I’m there. This means all my food and accommodation is sorted and I’ll have a network of people in the community, so I’ll really get to experience living there, instead of just passing through as a tourist. In preparation for living in Chile I’ve been learning Spanish, which has had its ups and downs. I’m hoping I’ve learnt enough to have a basic conversation with my new family, and the rest I’ll pick up along the way. After 8 months of teaching and living with a Chilean family, I’ll branch out on my own and travel around the country for a bit. And after that? No idea! I hope this has answered at least some of the questions about what will be happening in Chile when I’m there. If you want to know more then get in touch. I’ve covered the basics of what I’ll be doing, but as for where I’ll be living, well we’ll just have to wait to find out!